If you have sensitive skin like me, then you NEED to buy this micellar water. It’s so good I could quite easily write an essay on why I need to have a constant supply in my life. Seriously. It’s super mild and because you don’t have to rinse it off, it’s perfect if you don’t like spending ages removing your make up. I like to remove my make up with an oil based cleanser and then use this afterwards for a double cleanse. Many cleansers claim to be suitable for sensitive skin but they often leave my skin feeling dry and irritated, which is why I’m thrilled this one exists. Suitable for those who suffer from redness and or rosacea, the alcohol-free formula soothes as it removes make up. It even removes stubborn water resistant mascara, could this BE any better? 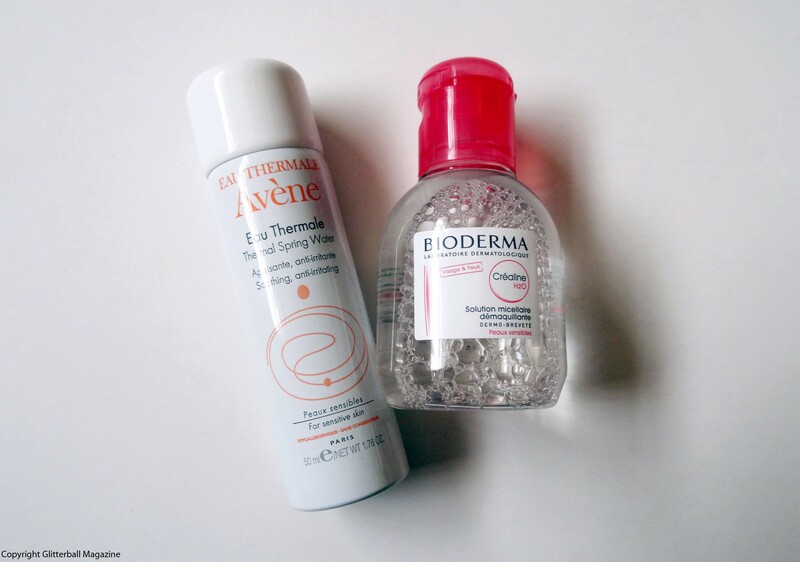 This mini-sized spray is made with Eau Thermale Avene’s thermal spring water to help calm irritated skin. It’s great to use if you want to freshen up your make up throughout the day. This is a dream to use on sunny days and it even rescues sunburnt skin (but please remember to apply appropriate amounts of sun cream!). The small size makes it perfect for travelling.